Radio host Lynne Malcolm interviews Dan Cohen and Australian experts about the power of personal music in this in-depth report. Dr. Sanjay Gupta interviews Dan Cohen and shows how personalized music opens doors for nursing home residents with Alzheimer’s. Oliver Sacks and Dan Cohen explain why music acts as a backdoor to memory and share tips for enjoying music with the elders in your life. Katie Couric interviews Dan Cohen and Michael Rossato-Bennett, writer/producer of award-winning Alive Inside: A Story of Music & Memory, about the making of the documentary and profound healing power of personalized music. Diane Sawyer’s “America Strong” segment features Music & Memory; Byron Pitts reports from a MUSIC & MEMORY℠ Certified Care Facility, Rocky Knoll Health Care Center in Plymouth, Wisconsin. Host Amy Goodman interviews Dan Cohen and film director Michael Rossato-Bennett. 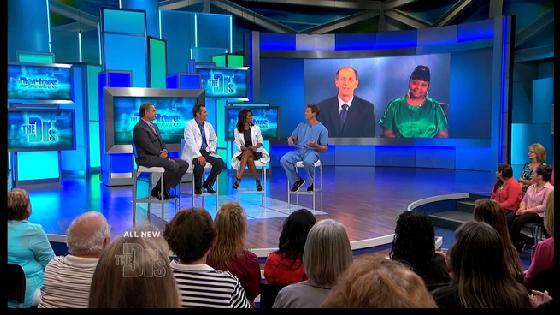 September 13, 2012, interview on The Doctors TV: Music & Memory’s Dan Cohen, joined by Henry’s recreational therapist Yvonne Russell, discusses Henry’s experience with host Dr. Travis Stork. Pataskala Oaks Care Center is one of 22 nursing homes in Ohio to become a MUSIC & MEMORY℠ Certified Facility, as the Ohio Department of Aging gears up to bring Music & Memory to more facilities statewide. WUMW, Milwaukee Public Radio, Wisc. Interview with University of Wisconsin-Milwaukee gerontologist Dr. Jung Kwak about the impact of Wisconsin’s Music & Memory program on nursing home residents throughout the state. How residents of the Mayo Clinic Health Systems’ three Wisconsin care facilities are benefiting from Music & Memory. NBC: WGAL-TV, Susquehanna Valley, Penn. The Press Democrat, Santa Rosa, Cal. Additional national coverage can be found at Shore Fire Media.